Cath is a Simon Snow fan. Okay, the whole world is a Simon Snow fan, but for Cath, being a fan is her life - and she's really good at it. She and her twin sister, Wren, ensconced themselves in the Simon Snow Series when they were just kids; it's what got them through their mother leaving. Reading. Rereading. Hanging out in Simon Snow forums, writing Simon Snow fan fiction, dressing up like the characters for every movie premiere. Cath's sister has mostly grown away from fandom, but Cath can't let go. 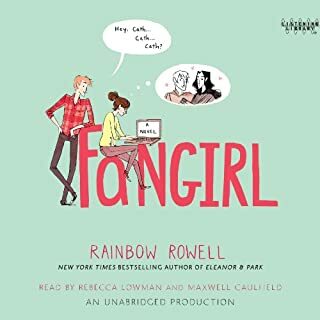 As a college student and writer of gay fan fiction and socially awkward geek with social anxiety I can attest to the verity of this book. It is far too true, but in a good way. I'm going to start writing my own stuff now. Lena Duchannes is unlike anyone the small Southern town of Gatlin has ever seen, and she's struggling to conceal her power and a curse that has haunted her family for generations. Ethan Wate, who has been counting the months until he can escape from Gatlin, is haunted by dreams of a beautiful girl he has never met. When Lena moves into the town's oldest and most infamous plantation, Ethan is inexplicably drawn to her and determined to uncover the connection between them. What didn’t you like about Kevin T. Collins’s performance? Trying to ignore the aggravating voices and infuriating accents, the fantasy has a clever plot, great characters, and a romance that isn't too cheesy. However, it would seem that the characters were ment to be intelligent and strong willed, not air-headed and soft as Mr. Collins so reads them. If you are at all able, read the book with your own to eyes. This performance is bad enough to ruin the otherwise enjoyable story. 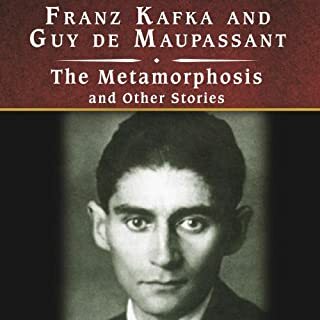 The Metamorphosis begins as its protagonist, Gregor Samsa, wakes up one morning to find that he has become a huge insect. This change is understandably difficult for Gregor, not to mention his family and business. It ends up costing him his life. Who can hate a classic? Or an accent! 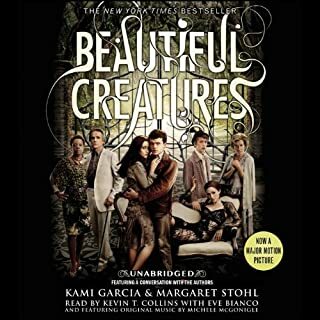 What did you love best about The Metamorphosis and Other Stories? The stories within this book are as strange as anything I've ever read (or rather, heard) in my life! However, reading from a higher-level philosophical standpoint, it is full of mind boggling depictions of human life and priorities which many short stories lack. Yet, it still is full of intrigue and plot, though one might have thought otherwise! And, of course, Tom Whitworth's reading was wonderful! His voice is calm and deep and full of character and life! Plus, he's got a manly british accent, which is soothing to the ears.